Happy New Year! 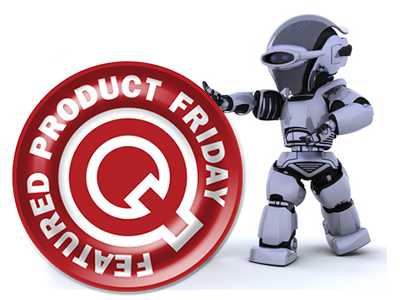 The Featured Product Friday (FPF) Promo by Q Source has completed a successful 2014 of offering more than 50 opportunities to save on popular, must-have, high-quality products from a variety of well-known vendors at QSource.com. Our new 2015 promos will begin next Friday, January 9, 2015. Check our social media posts and this blog for a preview and further information. We wanted to take a moment to thank you for your support of FPF and we look forward to bringing you even more exciting weekly offers for 2015. With that in mind, we’d like to ask for your input as far as what types of products you’d like to see offered in the Featured Product Friday promotions and any other comments you might have regarding the way the promos are offered. Please leave those comments/ideas in the comments section of this blog post or send us an email. Please Note: Remember to look out every Friday for a new Featured Product. New FPF codes are valid beginning each Friday morning at 12:00 a.m. and expire Sunday at 11:59 p.m. Learn more about our Featured Product Friday promo via our detailed blog post.